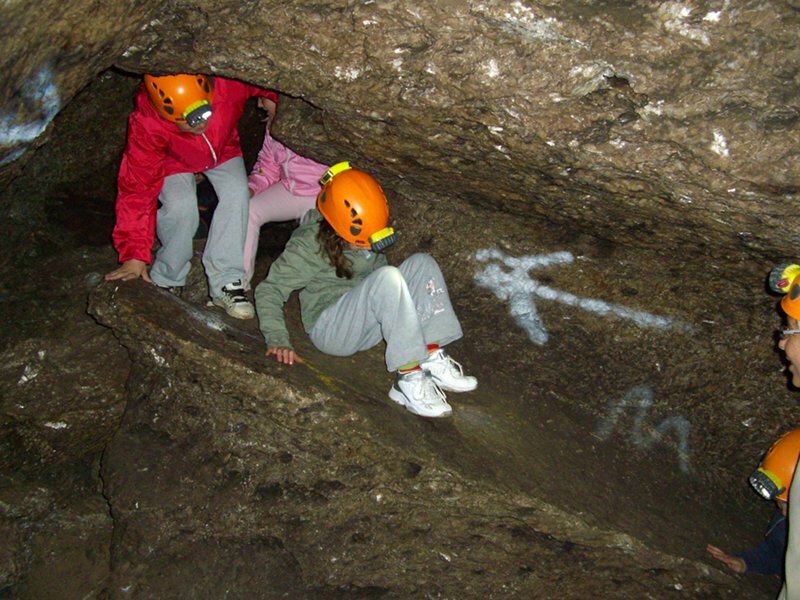 It is the largest doline of Gessi Bolognesi (with a diameter of over 700m) and includes minor dolines and several swallow holes, giving access to as many caves. Large woodlands cover the bottom and the coolest slopes, where several microthermal species stand out, including the one and only regional station of Isopyrum thalictroides. Meadows, cultivated fields, and a thin Downy oak woodland interrupted by the outcrops cover the sunniest areas. In winter, one of the paths is characterized by the rare crocuses. Discovered in 1932, Spipola Cave is exclusively accessible with guided visits from an artificial entrance situated at the bottom of the doline (the natural entrance, called "Buco del Calzolaio", is situated immediately above it). 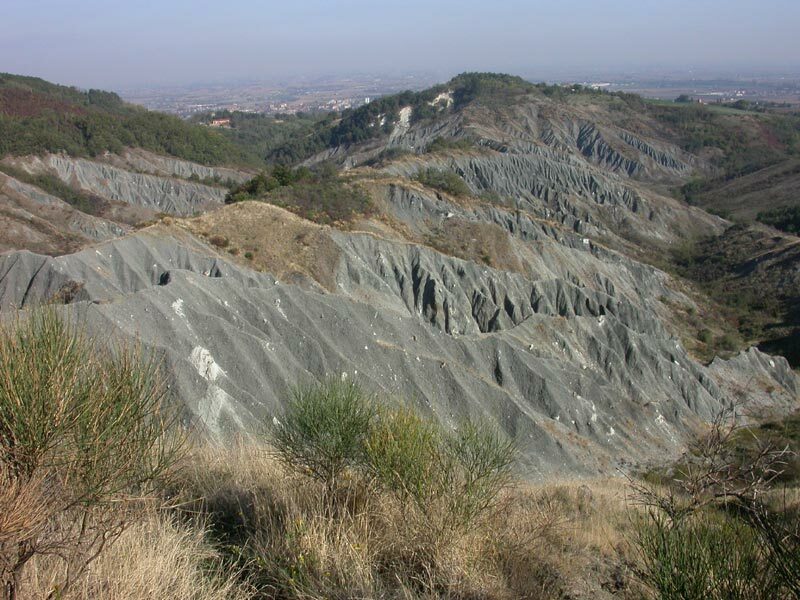 From the left bank of the river Savena, at Ponticella, there are well-evident steep chalky outcrops degrading towards the watercourse in the point where the creek came back to the light after the long subterranean route. Originally, the resurgence had a wonderful entrance crowned by candle-like furrows, which was subsequently destroyed by the quarry activities. The place name "Siberia" recalls the particularly cool microclimate of the area. 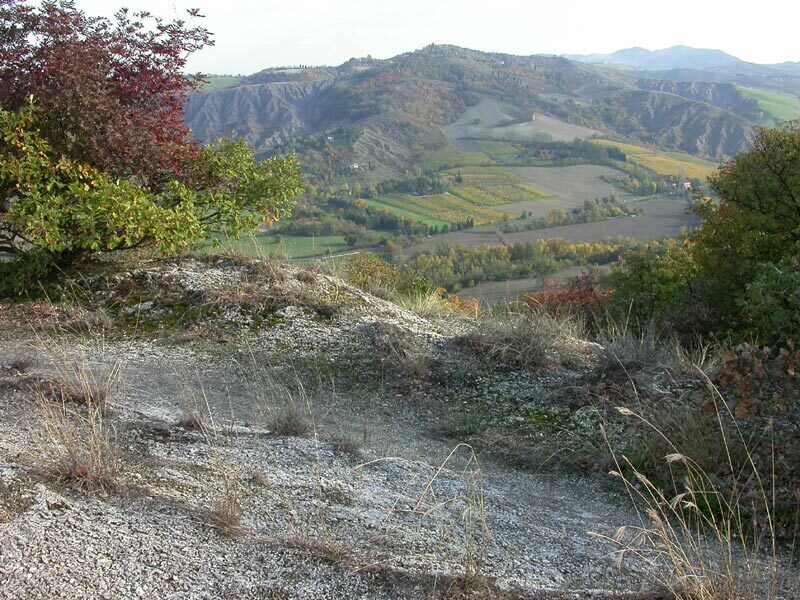 A series of small dolines, swallow holes, and chalky hillocks characterizes the plateau, where you can enjoy a beautiful view over Savena valley reaching the plain next to Bologna. In some areas, it is possible to notice several "separation bubbles". The characteristic vegetation of the outcrops, enriched with Mediterranean shrubs, alternates with woodland strips at the bottom of the dolines. A curiosity is represented by the Prickly Pear, a cactus which has spontaneously spread across the plateau from the nearby garden of Villa Miserazzano. 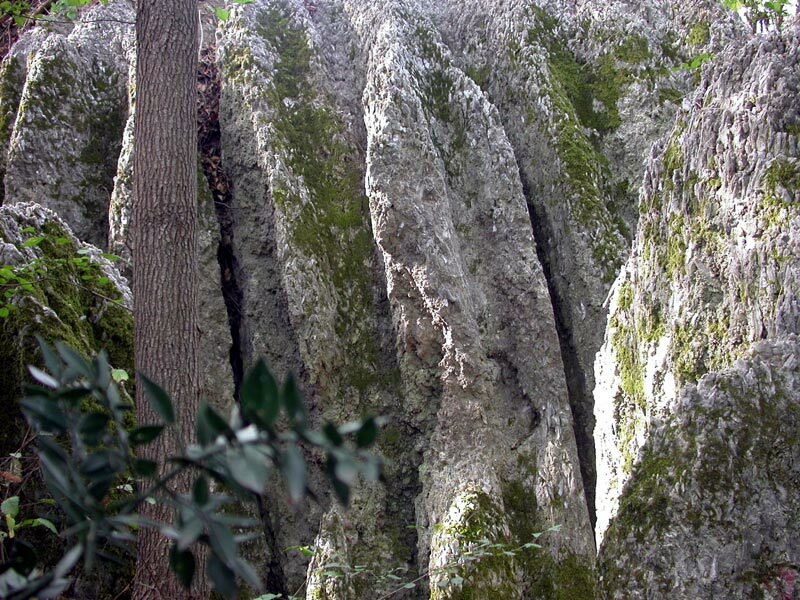 Near the so-called "Palestrina", ancient quarry head probably dating back to the Roman period, on the steep walls of a swallow hole situated inside a woodland area, the runoff has produced evident and spectacular vertical furrows called "candle-like erosions". 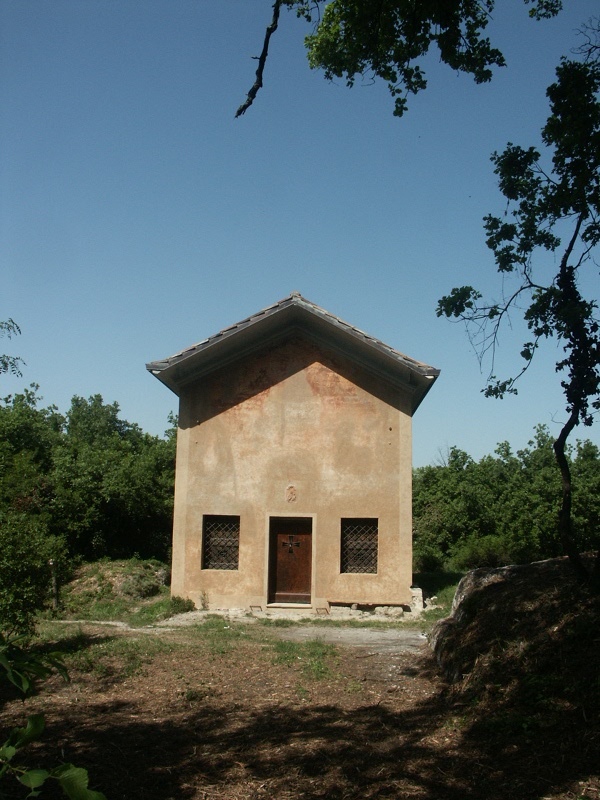 The small 17th century Oratory object of the ancient popular devotion, recently renovated, is situated in the woodland near the homonymous Road. The vegetation that had gradually invaded the opposite area has been cleaned: this has given the opportunity to bring back to light a huge block of gypsum shaped to be used as a seat and enhanced the wonderful centuries-old oak delimiting this unusual and charming "churchyard". The chalky Mt. Castello, situated in a strategic position in Acquafredda blind valley, was known since the Lower Paleolithic Age and housed prehistorical settlements during the whole Copper Age. The rests of some female burial objects found along the steep southern slope date back to the latter period. 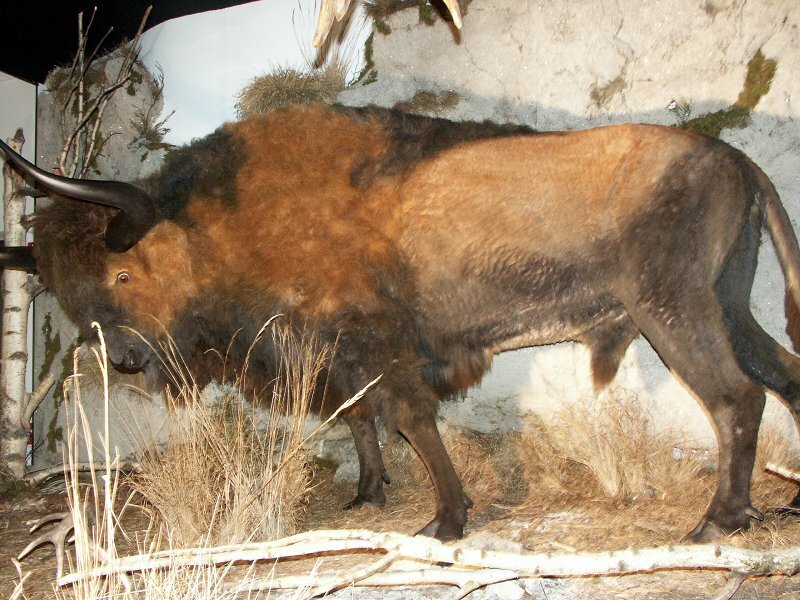 The area of the Former Wire Quarry, the one and only quarry using helical wire, is of particular paleontological interest, since the quarry activity has divided a swallow hole bringing to light paleontological finds dating back to the Würmian period, including a cervid skull and several bones of prehistoric bison (Bison priscus) now on display at Donini Museum in S.Lazzaro di Savena. Among large meadows and cultivated fields alternating with shrub formations, a thin strip of hygrophilous vegetation marking the course of rio Acquafredda stands out. The valley is closed by a prominent wall, along which the powerful chalky stratifications are evident: here the complex subterranean system Acquafredda-Spipola begins. In the woodland surrounding the swallow hole, rare species like the Hart's Tongue Fern and the Snowdrop grow. Croara Church is shaded by imposing stone pines. It was part of the ancient S. Cecilia monastery, on which the surrounding estates and oratories depended. 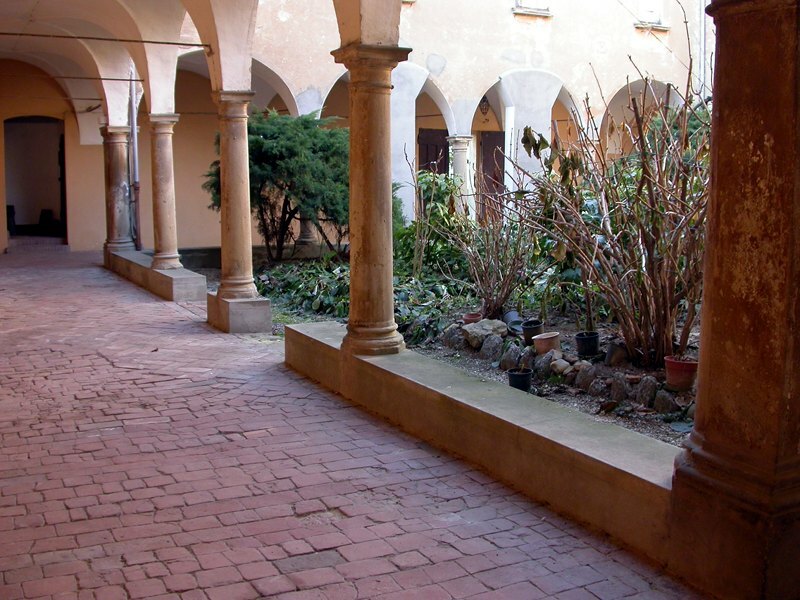 Today, only the small cloister annexed to the church remains. From the large square, you can enjoy a beautiful view over Bologna and the plain. It is a deep blind valley developing at direct contact with very inclined chalky strata; at the bottom, the swallow hole access to Calindri Cave (another protected cave) opens. 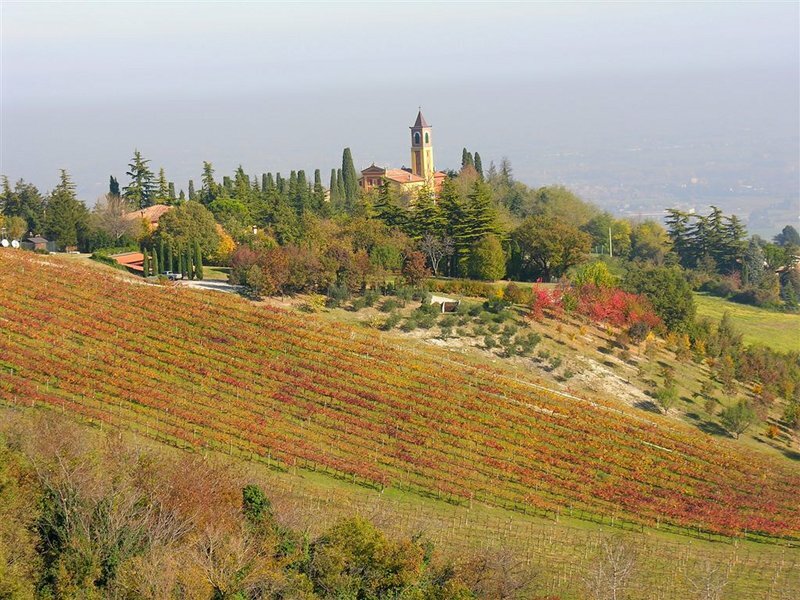 While the southern slope is gentle, with cultivated fields and a small vineyard, the opposite slope is very steep. The outcrops are colonized by the characteristic pioneer vegetation consisting of moss, lichens, and small succulent plants; in summer, the golden helychrisum and broom bloom. The bare areas alternate with a low shrub formation of Downy oaks, where the evergreen phyllirea also appears. For their clayey nature, the slopes of the mountain have always been more adequate for grazing activities rather than cultivations. The steepest areas are characterized by large gully erosions; where the slope is slight, thick shrub formations cover old pastures. 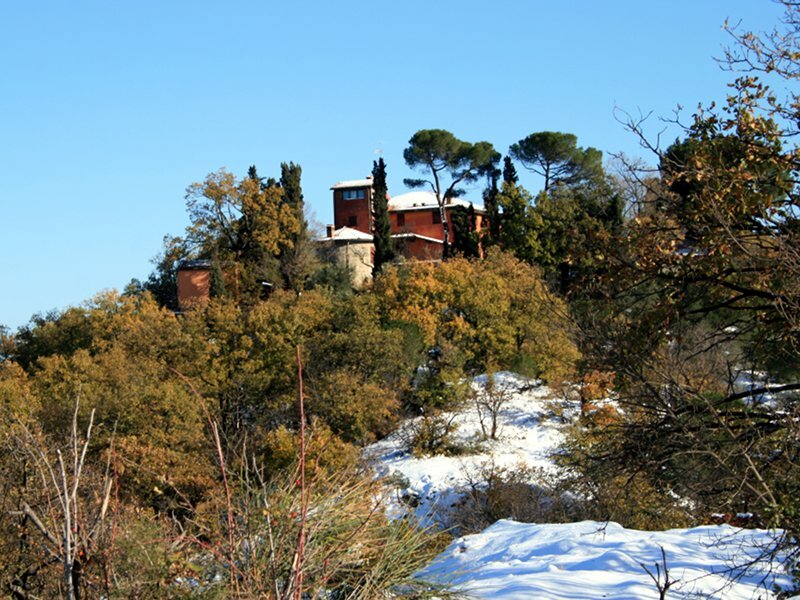 Under the mountain summit, in a picturesque position, there is San Giovanni Battista ancient church, preceded by a cypress-tree line alternating with the stations of the Via Crucis. 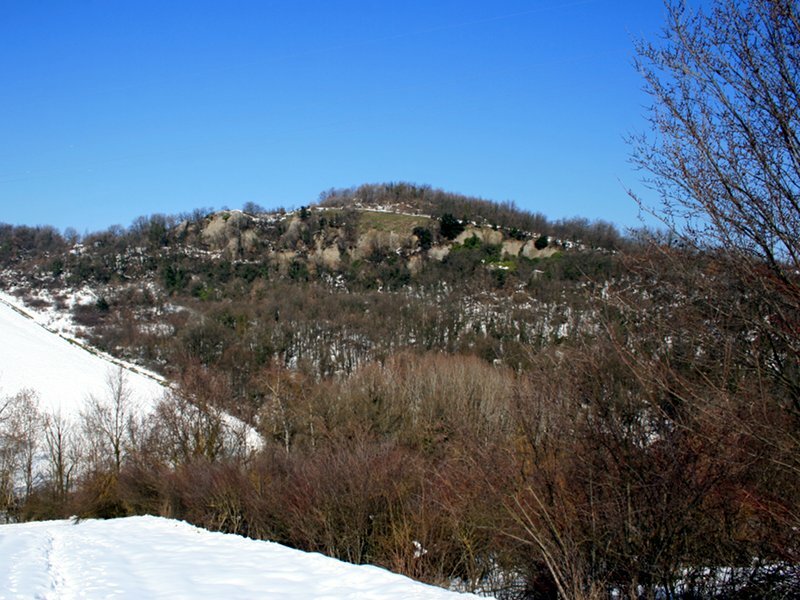 Farneto area, with an ancient church dedicated to S. Lorenzo, is known above all for the Farneto Cave, which was discovered in 1871 by Francesco Orsoni, who carried out the first important archaeological surveys. In the 1960s, Luigi Fantini found some burials dating back to the Copper Age (the finds are on display in the Archaeological Museum of Bologna). 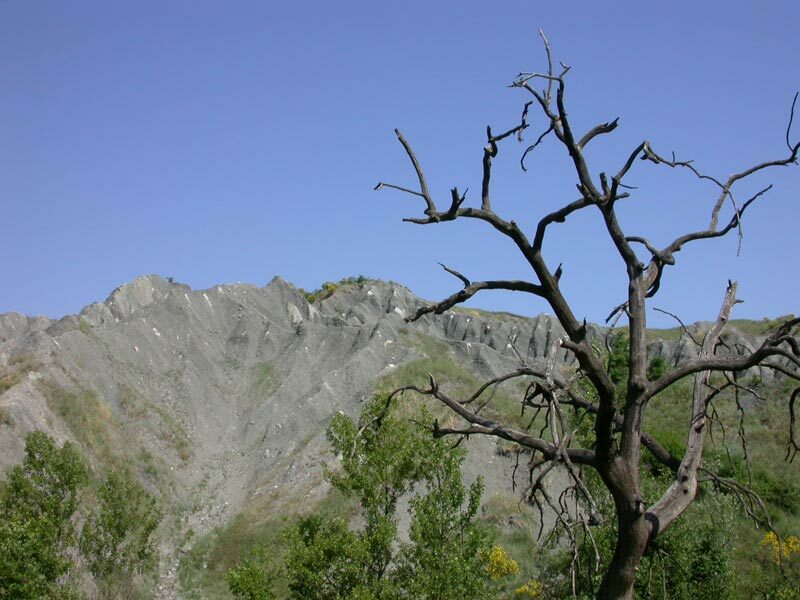 Damaged by the quarries, the whole outcrop and the cave have been inaccessible for years because of a landslide blocking the entrance, until the implemented recovery measures have finally enabled its rehabilitation and opening to the public in 2008. Several swallow holes, from where you can access small cavities like Coralupi Cave, open on the slopes of the doline, almost entirely covered with a cool woodland. In spring, among the wonderful undergrowth flowers, the scilla stands out; during the summer, in very limited stations, the Turk's cap lily and Orange Lily bloom. 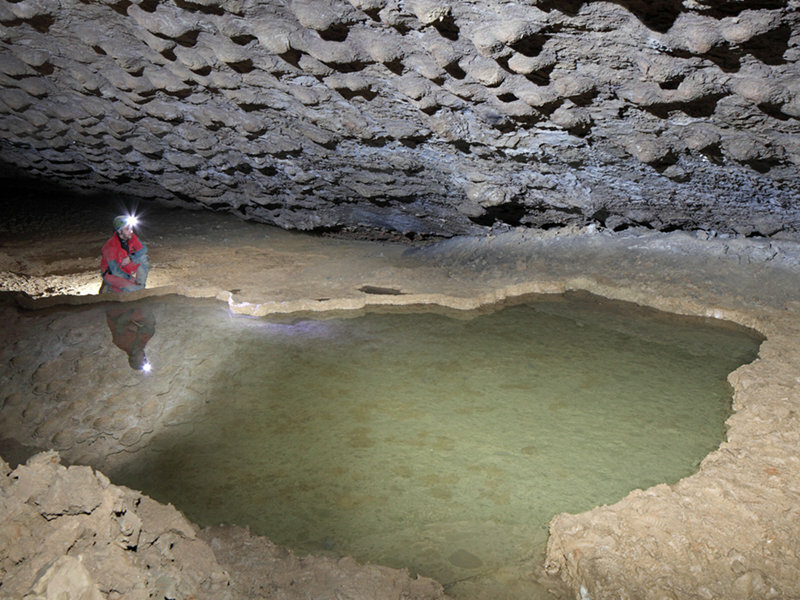 Large doline in which swallow hole access to several cavities open. The largest cavity (Grotta Novella) is used as a subterranean laboratory and is characterized by imposing limestone calcite blades. The cool and wet microclimate near the swallow holes favors the presence of Moss (Minimum spp), Ferns (Polypodium vulgare), Maidenhair Spleenwort (Asplenium trichomanes). The presence of Delphinium fissum, extremely rare above all at low altitudes, is worth a mention. The northern slope, once characterized by cultivated fields, is covered today with a thick shrub formation extending in the woodland covering the rest of the large doline. In the more gentle areas of the blind valley there are several houses surrounded by large evergreen formations, vineyards, fruit tree rows, and meadows. On the chalky ridges closing the valley a thin undergrowth develops, interrupted in some stretches by the outcrops: here Downy Oaks, Manna Ashes, and Wild Pear often acquire a shrubby and twisted formation; the sunny exposure of this slope enriches the vegetation with several Mediterranean species (Sageleaf Rockrose, Phillyrea, ilex tree). 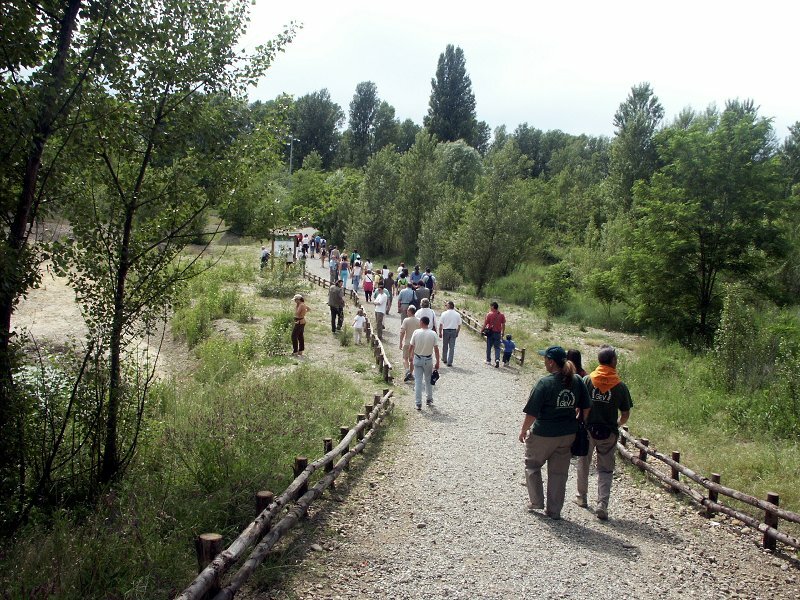 Once characterized by the presence of gravel quarries, the area has today interesting naturalistic features, because the excavations of the alluvial deposits of the Lower and Middle Pleistocene have left various depressions housing wetlands which offer shelter to several migratory species. 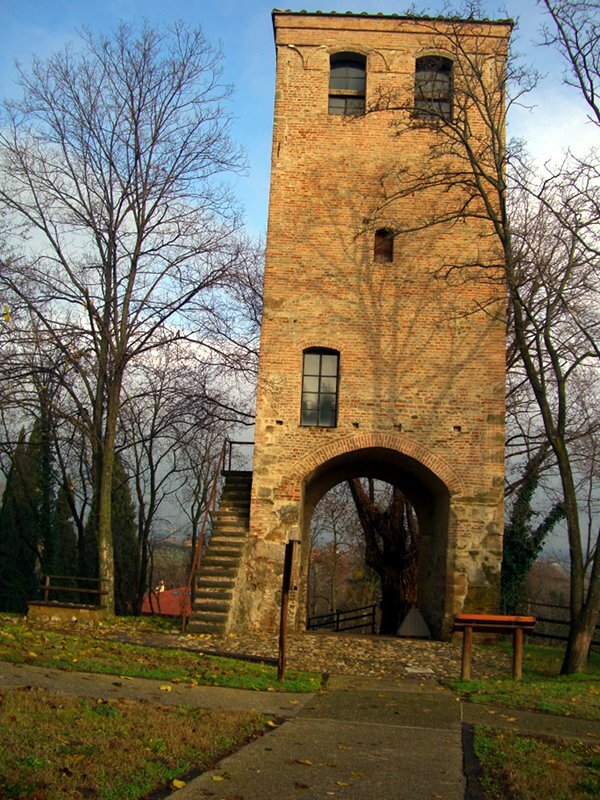 A ring-route equipped with observation towers gives the opportunity to visit the area and is connected with the itinerary along the river Idice following the watercourse for a long stretch. At the confluence of river Zena with river Idice, on a little hillock, a cypress tree walk leads to Santa Maria Assunta small church, already existing in the 12th century. 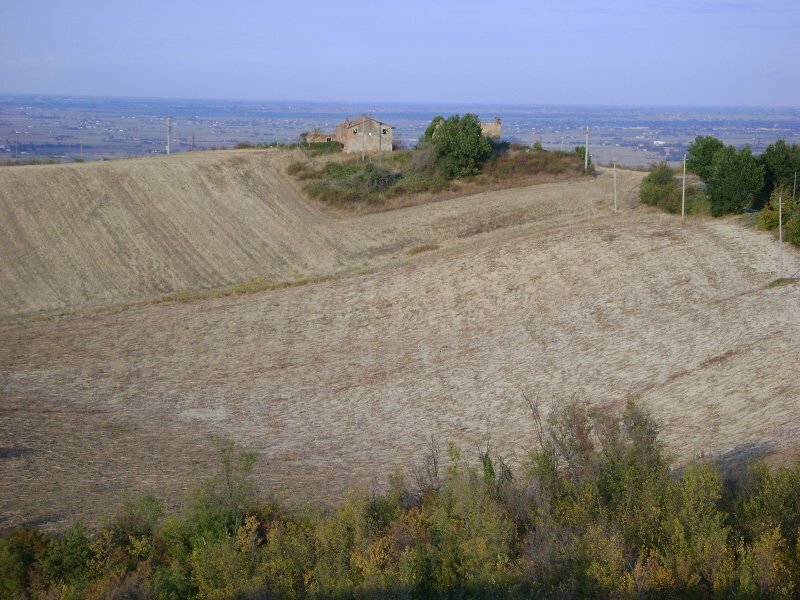 The few scattered houses and the church are the only remains of Pizzocalvo, an important community until the late 18th century. The small Oasis, once managed by the WWF section of Bologna, preserves a stretch of hydrophilous woodland along the left bank of the river Idice, near the ruins of an old mill. A monumental oak, willows, poplars, alders, and narrow-leafed ashes, as well as the very widespread black locust tree and several shrubs are an example fo the vegetation also growing along the other local watercourses. A series of labels highlights the main botanical species. Along the stretch of the river Idice where the river cuts into the chalky outcrops, the complete sequence of the evaporitic strata separated by clayey insertions is evident. A beautiful form of erosion has developed on a thick chalky stratum. In some points, in the rainy periods, small resurgences can be seen. On the large terraces characterizing Idice valley bottom, within the imposing architectural structure of Villa Abbadia, it is still possible to distinguish the ancient San Michele Abbey. It belonged in the past to the Camaldolese monks and subsequently to the Knights of Our Lady. Then it became a property of Carlo Berti Pichat's family, the first Mayor of San Lazzaro, who transformed the abbey into a villa in the early 17th century, adding the massive clock tower. Evergreen buckthorn shrubs appear among the vegetation growing on the chalky ridges of the cliff were the church and part of the old village are situated. On the limited outcrops upstream from the village, among the last Gessi Bolognesi, it is possible to recognize small dolines. 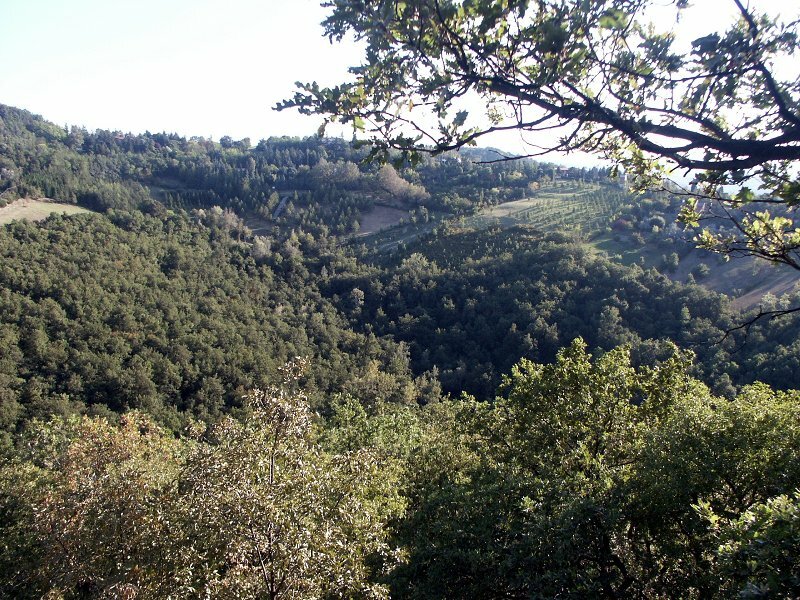 Beautiful panoramic point over the plain, Idice valley, and the charming valley of Rio Olmatello. In the past, the area was characterized by an important fortified town managing the surrounding territory. 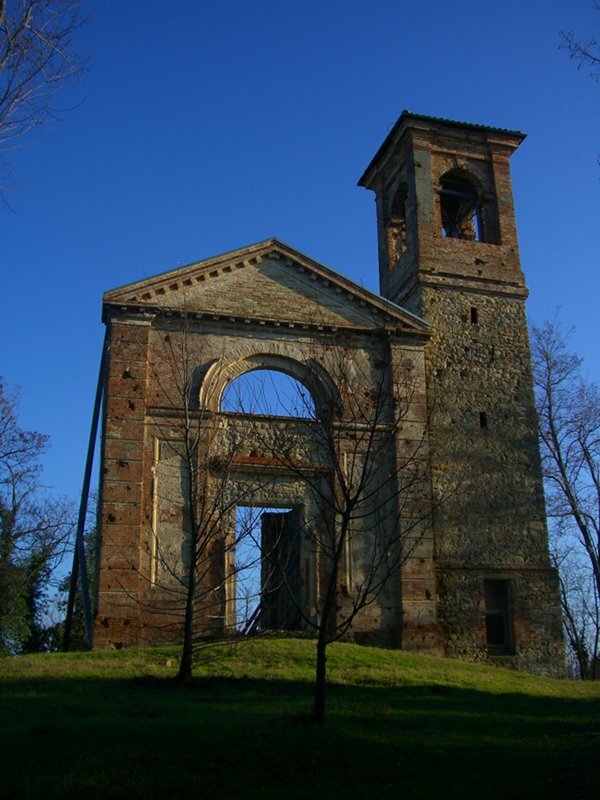 San Donato Church, already mentioned in the 12th century, was rebuilt more than once, but it was definitively destroyed during the last war. The ancient buildings are today represented only by the small abandoned Cemetery situated in a dominating position on the hill. 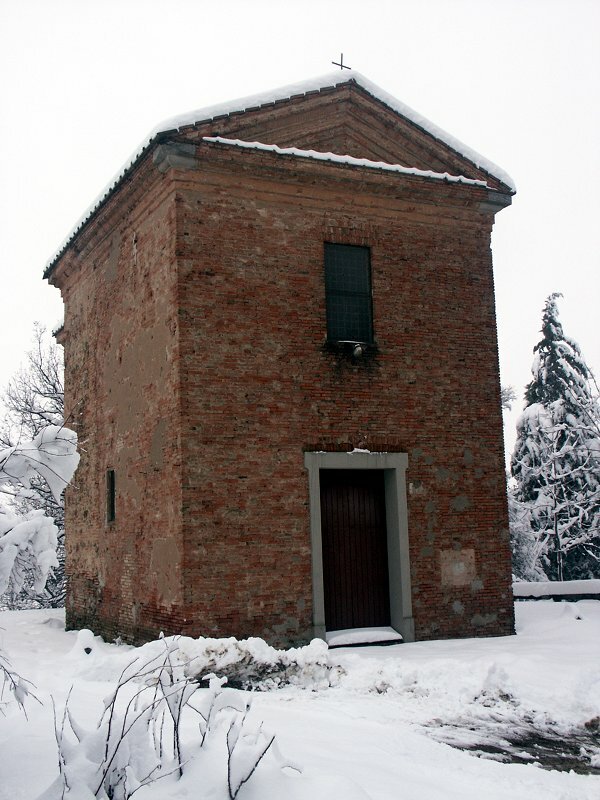 Madonna delle Grazie Oratory, built in 1677, lies near the place housing San Donato di Ciagnano Church. 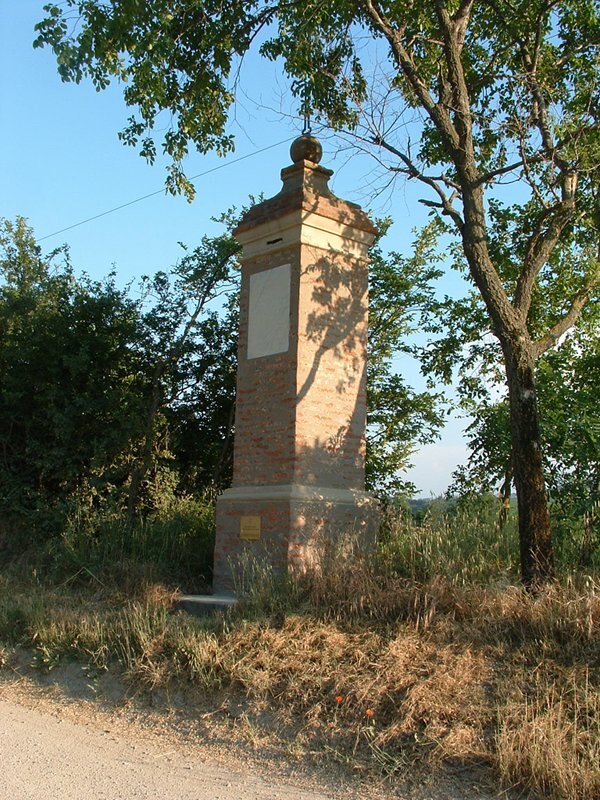 The 17th century Pilastrino (small pilaster) restored at the beginning of the century marks the place where the Camaldolese Monastery of Badessa Lucia from Settefonti was situated. 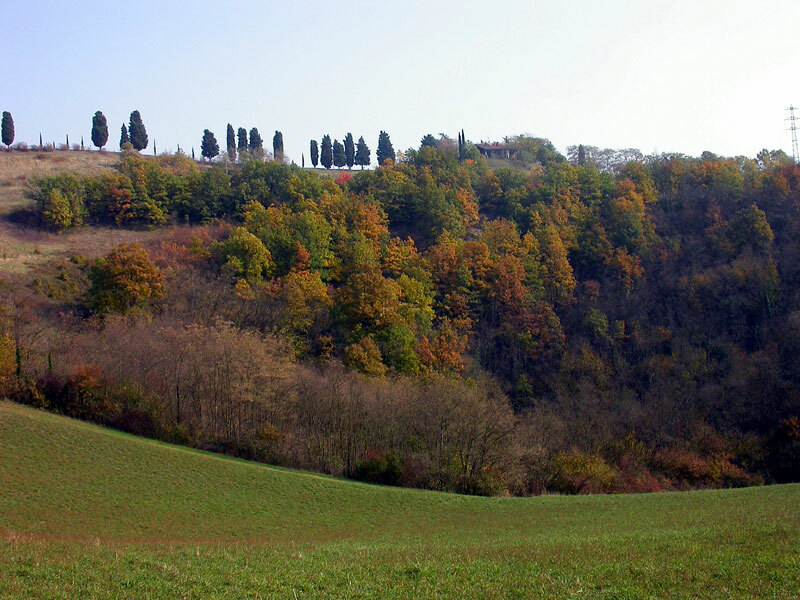 Going ahead in the direction of Ciagnano, you will reach a picnic area where you will enjoy a great view over the plain and the imposing formation of Calanchi dell'Abbadessa northwards and, southwards, over Idice valley and a large stretch of the Apennines of Bologna. Badessa Pass connects the marly summit of Mt. 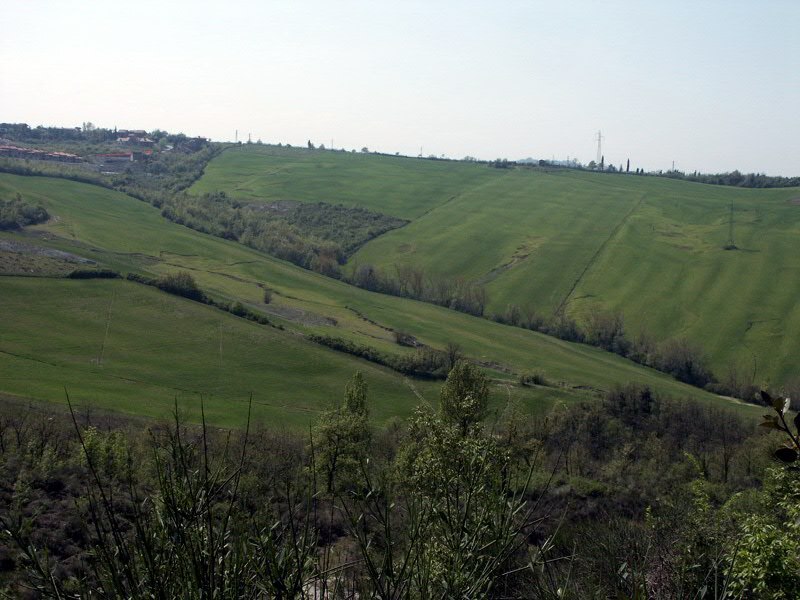 Arligo with Via del Pilastrino, across a narrow ridge of gullies separating Rio Centonara valley from Rio Ciagnano valley. 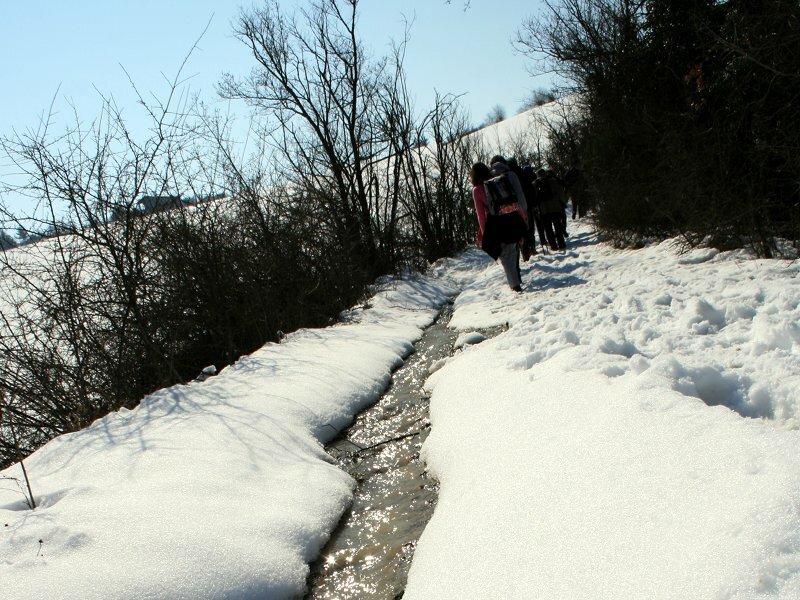 A historical route, today turned into a very narrow path, sometimes not even larger than a foot, runs along the ridge. The path becomes rather dangerous above all after the rain. It lies in a safeguarded Park area: therefore, it is not allowed to follow this path. The isolated St. Andrea Church lies on the gentle northern slope of Mt. Arligo. The church is quoted in some 11th century documents and was rebuilt between the late 18th and the early 19th century. It preserves the corpse of the Blessed Lucia from Settefonti. Nearby, there is the Neo-Gothic Villa Massei, surrounded by a large park. 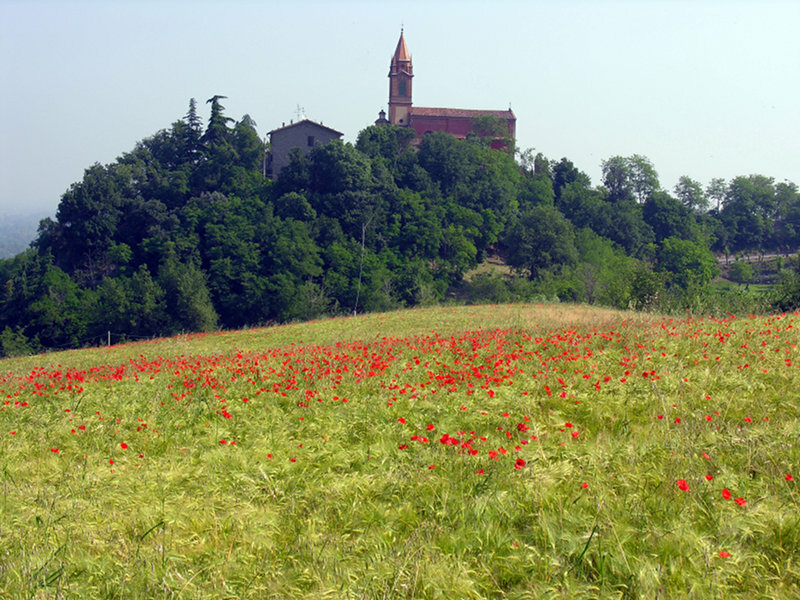 The ancient Pieve (parish church) was situated in an extremely panoramic point dominating the plain. According to a legend, its name derives from a pre-existing pagan temple dedicated to Pan. Of the noble past structure, only the simple oratory has remained; in the walls of the nearby 16th century rural structure built using the materials of the old Pieve, blocks of selenite and decorative elements have been found. 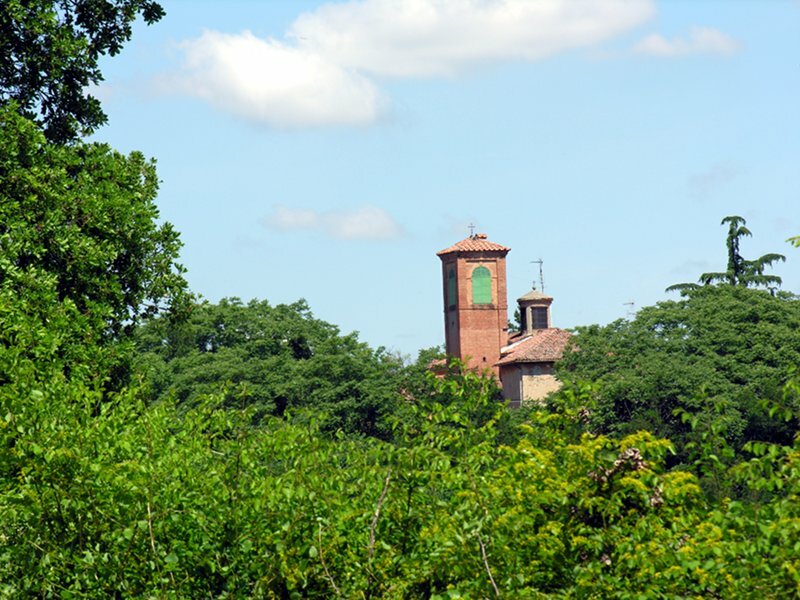 The unmistakable outline of the old bell tower stands out from the thick woodland at the top of Settefonti hill. It belongs to the important ruins of the 15th S. Maria parish church, which is situated in the middle of a fortified medieval village of which only traces of the walls remain. At the foot of the hill, at the beginning of Via Medali, there are the small historical Cemetery and a picnic area. The aspect of this enchanting village reminds the 16th century drawings representing it. 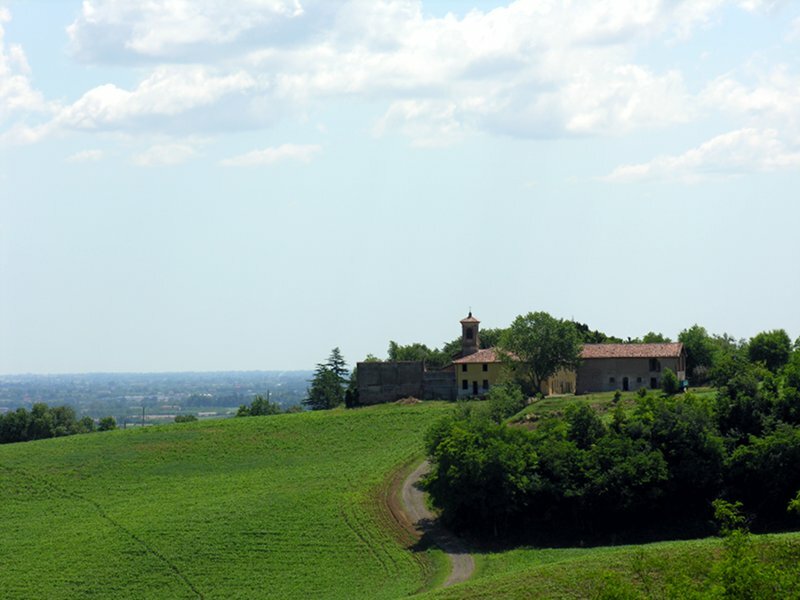 It consists of a massive 11th century tower and a few houses surrounding the church, which preserves a Romanesque-style capital coming from Pieve di Pastino. Near the tower, archaeological excavations have brought to light the remains of the medieval settlement and the original road network. In San Lazzaro di Savena, at the Park borders, you cand find "Luigi Donini" Museum of Prehistory. Enlarged and entirely renovated in 2003, it is one of the most important museums of prehistorical archaeology in Italy, equipped with the most modern and updated exhibit systems. 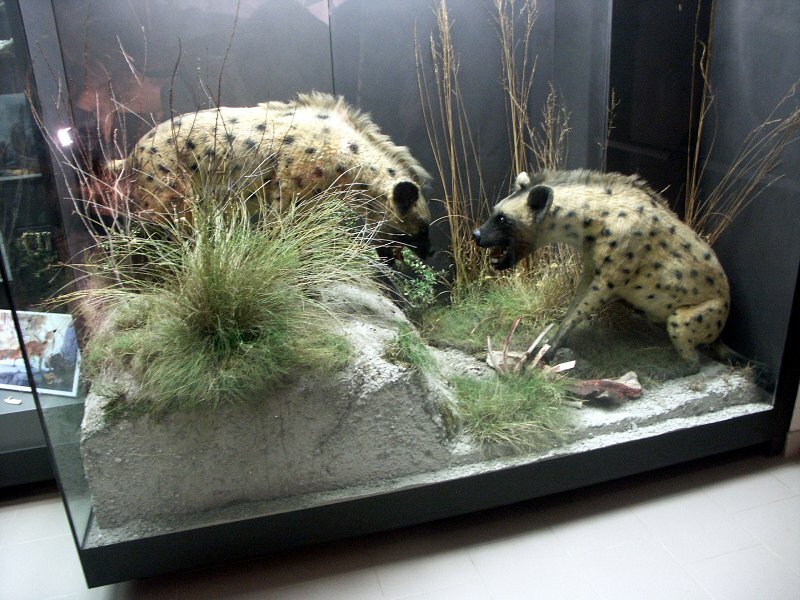 The Museum houses a rich collection of finds and is completed by large spaces dedicated to the life-size reconstructions of the prehistoric civilization and fauna of the Villanovian Age.